At Balaton, there are three things you have to do: try fish cooked in all sorts of ways, savor some goulash and go wine tasting. The IGotoWord Team successfully managed to get everything done. 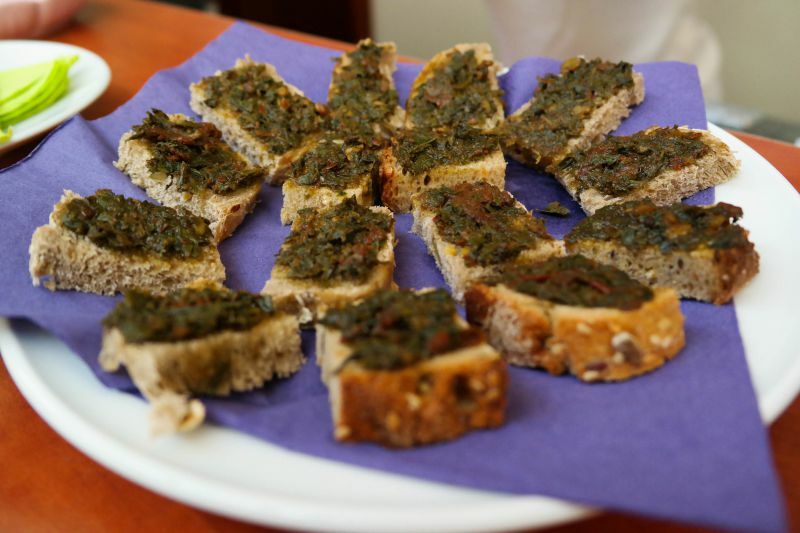 Now we are sharing our experience and the list of dishes that are worth trying if you go on a trip to Balaton. It has different, quite unusual and slightly spicy flavor and large pieces of river fish – in our case seemed like it was carp. Traditionally, this soup is cooked on over an open fire. We tried it, according to local advice, in the best fish restaurant in the region – Aszófői Halsütő. Balaton is Hungary. And Hungary is goulash. You can’t ignore the most popular national cuisine dish. Surprisingly, there are two kinds of goulash: a soup and a roast. Hungarian goulash soup is a lot of broth and much less meat and vegetables. 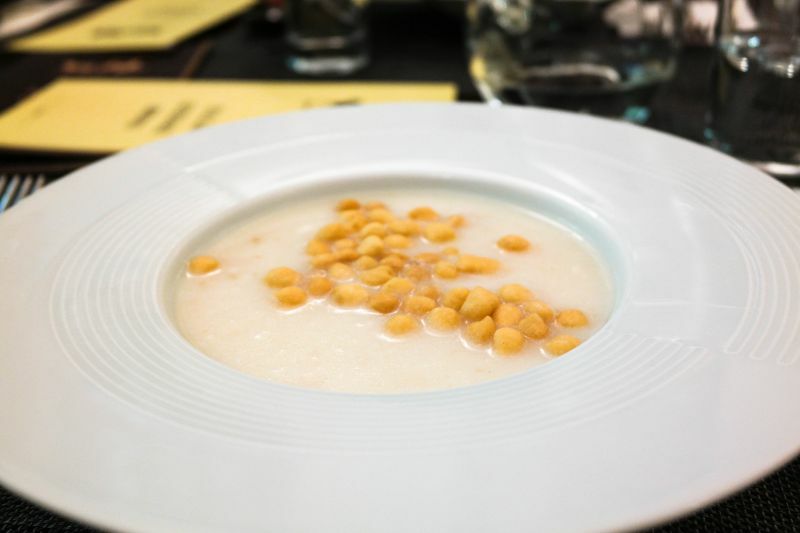 Know the difference and specify what you are offered – a main course or soup. 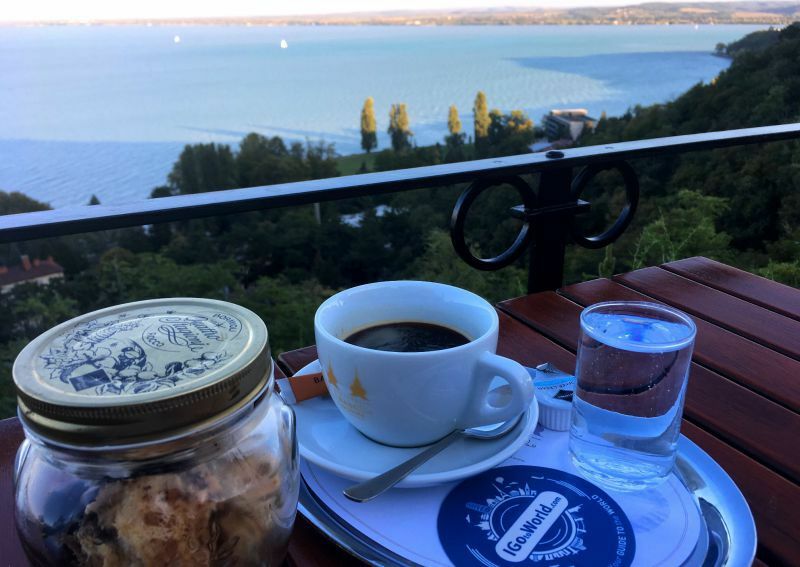 We, however, specifically chose the soup in the restaurant Helikon Taverna which, by the way, offers a stunning view of the Balaton. And yet, just like all the dishes of Hungarian cuisine, goulash is prepared with hot pepper. 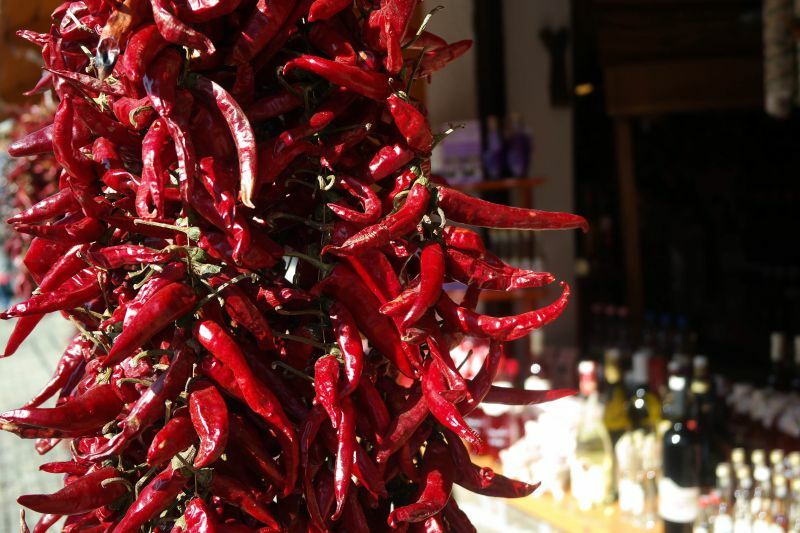 In Hungary, they love everything that is spicy. Garlic is also an integral part of many dishes. Here's a cream soup that you'll find in Amazon Cafe & Wine Bar. Traditionally, it is prepared in vegetable or meat broth with potatoes, leek, and butter. They, of course, add a lot of garlic as well. The soup is seasoned with croutons or cornballs. 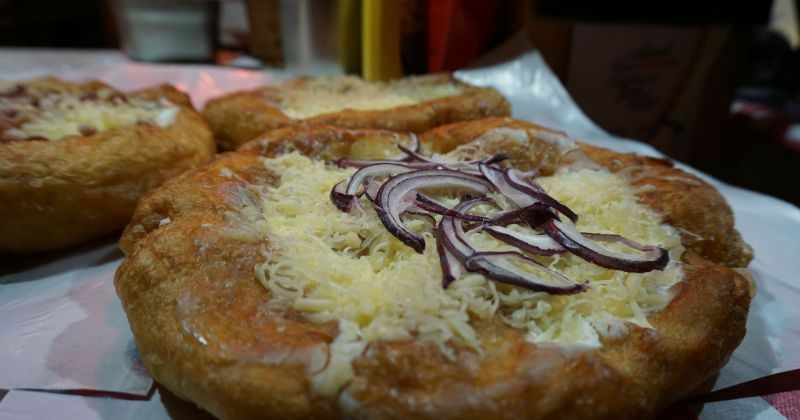 This is a Hungarian classic dish which you can order as a main course. Golden chicken stewed with paprika and garlic is served with cream sauce and something that looks like dumplings. This is garnish which is a traditional addition to paprikash and many other dishes. Usually, they are mixed with flour and milk. 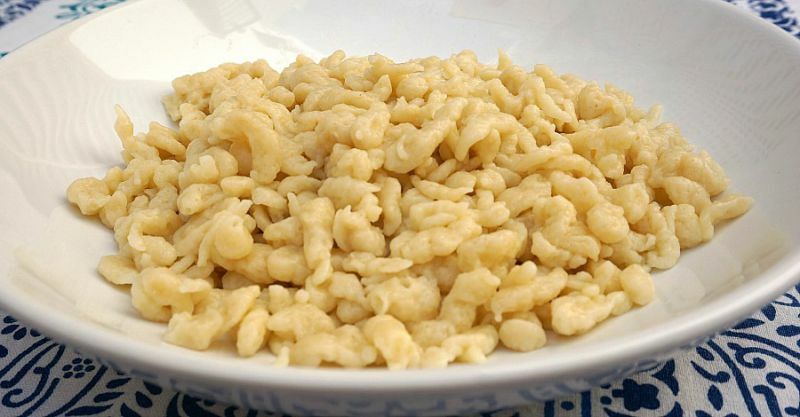 Nokedli are akin to dumplings because they are often served along with bacon or mushrooms. However, in appearance they resemble dumplings. Túrós csusza means "cottage cheese slices." The dough for this dish is kneaded out of flour, water, and eggs, then rolled into a thin disc and cut into pieces. After that, it is boiled and served with pork rinds, sour cream, and cottage cheese. Yep, Hungarian cuisine is quite high-calorie. Its name means "fried" and you can fry almost any meat for it. Most often the basis of the dish is beef or chicken. The meat is fried with finely chopped onions, stewed with paprika and has peppered red sauce poured atop of it. It resembles the goulash bit, but it’s thicker and doesn’t include potatoes. If the restaurant has the right approach, the dish will be prepared for you on an open fire. Fish dishes are the calling card of Balaton. You will find them everywhere! Fried fish is the most common. We went to the festival and saw fried fish being sold right from the street stalls there. You will not find anything smoked, however: fish is cooked only over the open fire and on a pan. 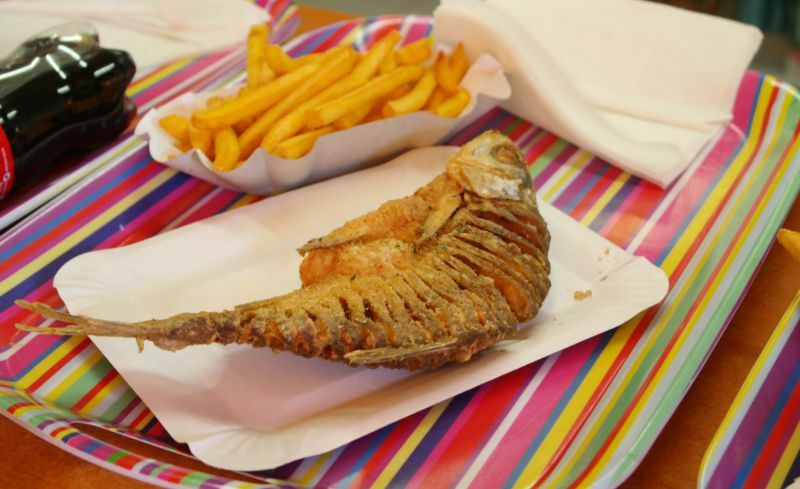 When we went to the most popular fish cafe in Balaton, we had a big range of fish to select from – hake, pike-perch, bream, carp, and catfish. If you want fish meat without bones, we recommend choosing fried catfish. 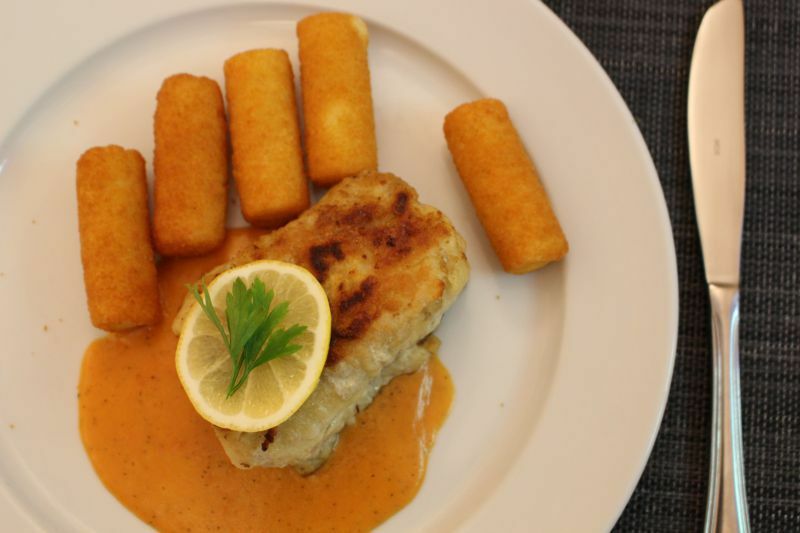 Then there’s a delicious braised piece of pike-perch which is served in Amazon Cafe & Wine Bar with potato sticks that literally melt in your mouth – the flavor is incredibly tender! By the way, industrial fishing is prohibited in the lake. 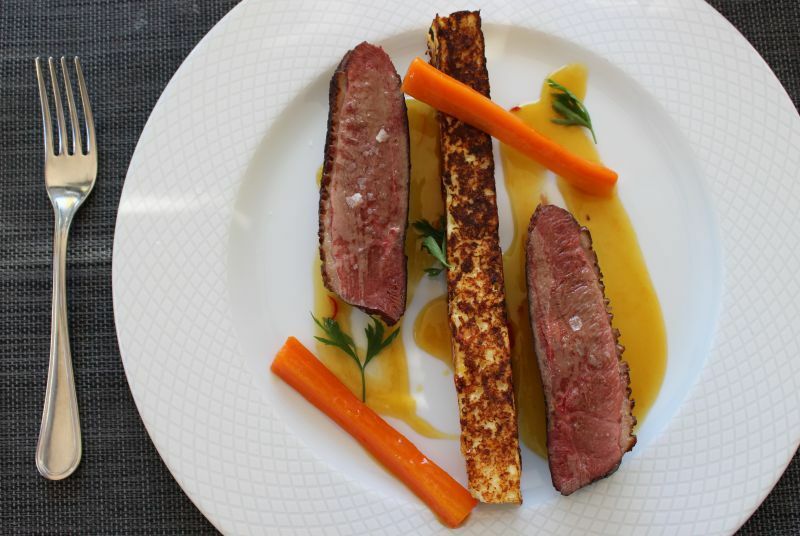 Wild duck is a resident of the region which is why it found its way into the local cuisine. Out of all possible bird meat, the restaurants put dishes with duck the most. It seemed a rather hard, but it was really tasty anyway. Time for sweets! And for dessert, we have a favorite cake of the Empress of Austria-Hungary Elizabeth, wife of Franz Joseph. The dessert carries the name of the one who invented an original recipe specifically for the national exhibition, where the cake made a real sensation. It did not spoil for 10 days which was a miracle in "pre-refrigerator" times. The pastry chef kept the recipe in secret for many years and revealed it only after he retired. This is a multi-layered cake made of six soft chocolate layers covered with delicious caramel icing! Do you know what the inhabitants of Balaton eat for dessert? Dumplings! At first, we were very surprised. And when we saw that very dumpling, we understood: they are not what we thought they were. This is a magnificent dessert with whipped cream, chocolate cream, delicate sponge cake, walnuts and garnished with grapes. Hungarian dumplings at Apátsági Rege Cukrászda Café were served in such original jars! By the way, we came there at random after a tour through the Tihany Abbey on the Tihany Peninsula. Tihany is a paradise with many cozy cafes. When it comes to the must-visit landmarks of Balaton, Tihany is definitely on the top 10 list. Once you see the word "palacsinta" don’t walk by. After all, these are pancakes! Hungarians are in love with them which shows – there is a huge variety of fillings, both sweet and salty. 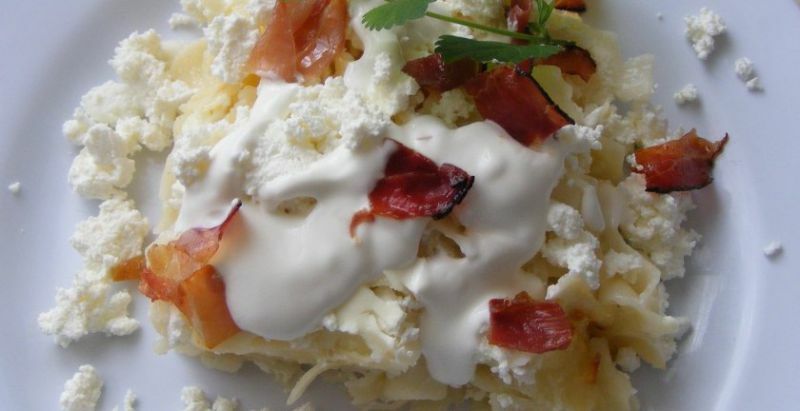 The most popular on Balaton are Hortobágyi pancakes. Inside it is filled with meat, pepper, smoked bacon. The pancakes are served with sour cream sauce and chopped parsley. If you want something sweet try Gundel pancakes that owe the name to their author. Various food is used for fillings, for example, raisins, walnuts, lemon zest, chocolate sauce and ... rum. Enjoy your meal! Do you know how lavender tastes? Try to imagine how it looks in the pate. Or what would lavender sweets and lemonade be like... Balaton is the lavender land, so this is the right place where you should try lavender tea with lavender cookies! We paid a visit to the Lavender House which is located in a small village of Tihany and organized a lavender tasting. Interesting and very pleasant flavor! 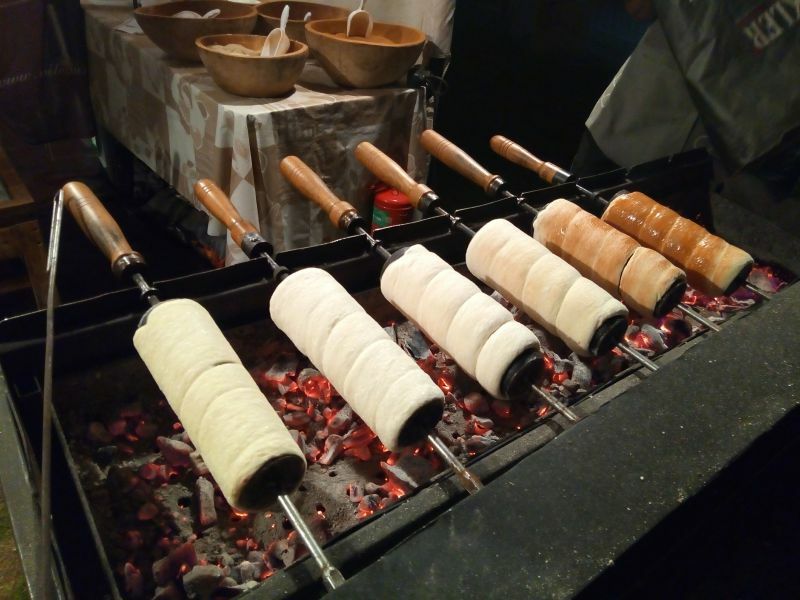 Kürtőskalács are cylinders made from thinly rolled dough. They are cooked by slowly rotating them over an open fire. When the dough is ready, it is coated with something sweet, like cream, chocolate, caramel and sprinkled with shredded coconut flakes and other powders. It looks incredibly festive! 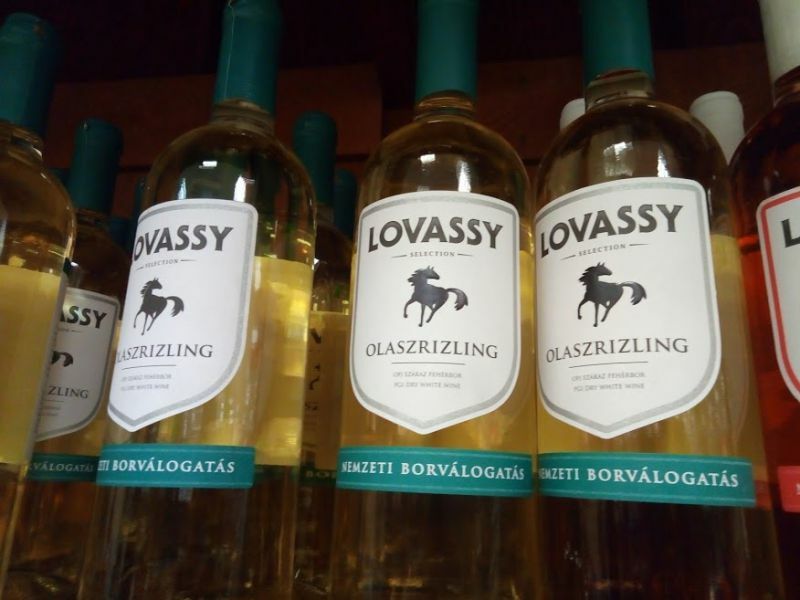 They are always sold at the Balaton festivals! Of course, this is not a separate dish but dare yourself to meet one-on-one with red paprika. At least, try a little bit of it. Pure fire! This is the main treasure not only to Balaton but to the whole country as well. You will find bundles of pepper everywhere: on fairs, in cafes and even in souvenir shops! By the way, one of the most common appetizers is an unripe paprika salad. An excellent choice if you are from a tribe of fire-breathing fire-eaters :). That’s not a trip to Balaton if you didn’t taste some wine. It is everywhere! This might sound unbelievable but the power of the pepper is so strong that even wine is peppered here in Balaton! Of course, you will find many kinds of wine in the region. However, the most famous local wine is Szaraz feherbor, a white dry and peppered wine. Do not be afraid of the flavor: it is rather soft and has only a little bit of spice. This wine is also quite inexpensive: around 700 forints. You should also come to the Egregy Grapehill for wine tasting. It is very close to the famous thermal lake Hévíz. Of course, this is a small fraction of those dishes to try on Balaton. We shared only the most popular. 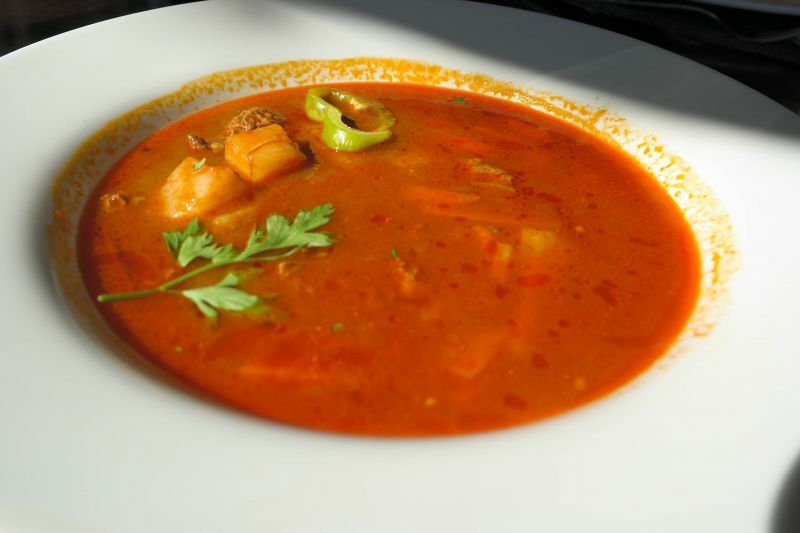 Do you have a favorite dish of Balaton which we undeservedly didn’t mention? Tell us about it! Photos in the article were taken by IGotoWorld Photo Group.